It feels good to get away and relax with no stress about work or other priorities. That is exactly what we did last week at the Kimpton Hotel Monaco in Baltimore! 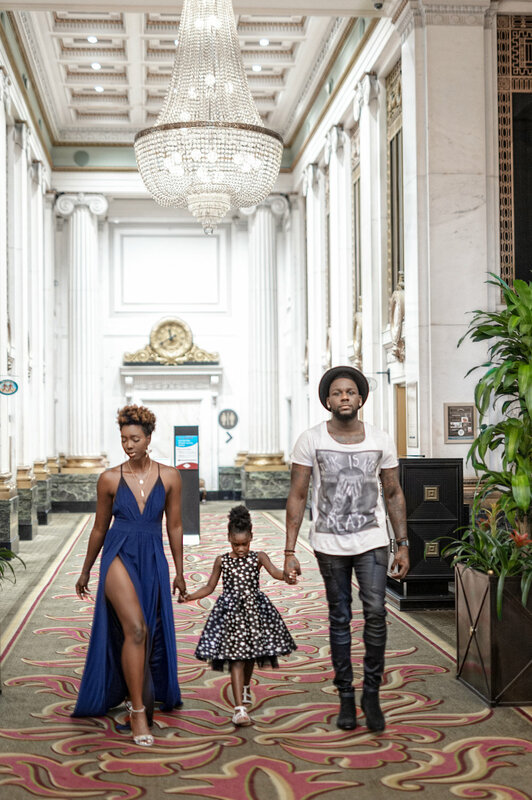 We had our first family staycation at this beautiful hotel and we loved it. We spent one day and one night relaxing, recharging and spending quality time together. I have always been a fan of Kimpton hotels. They all are aesthetically pleasing, full of luxury and upscale. This was my first time staying at Hotel Monaco. I always see such beautiful photos on Instagram, so I was excited to finally get the opportunity to stay there. We stayed in the Pullman Suite, which is a double room. I loved that the space consisted of a master bedroom and a separate living room with a bed. This allowed for privacy for Ernest and me while Aria slept in the living room on the pull-out bed. The bathroom is also beautiful with a full jacuzzi tub! Aria definitely took advantage of this, we filled the tub and she played like it was a pool! I must also say how amazing the food is! Hotel Monaco hooked us up with room service snacks, and dinner at the B&O American Brasserie in-hotel restaurant. This hotel is definitely perfect for the family. It is full of so much charm and character. We loved exploring the space. Every corner of the hotel is a photo opportunity!! 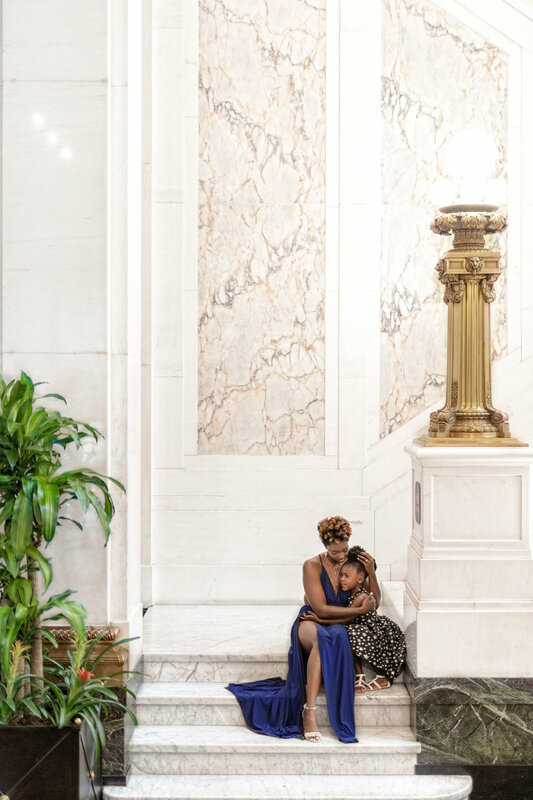 If you are looking for a place to stay when you visit Baltimore, or if you just need a family staycation; definitely check out the Kimpton Hotel Monaco, you will love it as much as we did!! Special Thank you to Kimpton Hotels for sponsoring our staycation.